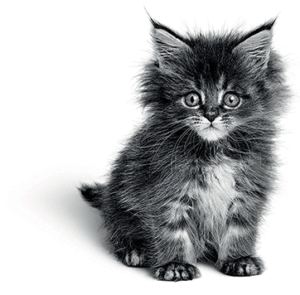 Home » Articles » When Can Kittens Go Outside? When Can Kittens Go Outside? Whether or not your cat is an indoor or outdoor cat is up to you – however if you do decide that your new kitten is going to be an outdoor cat, then you need to make sure you give it long enough before letting him or her out. What age can kittens go outside? There are three things we strongly recommend doing before you let your kitten out. Firstly, you shouldn’t let your kitten out until at least a week after it’s finished its first course of vaccinations. There are many ways your kitten could catch an infection or disease outside, so making sure it’s properly vaccinated is absolutely vital. Secondly, we’d recommend not letting your cat outside until you’ve had it microchipped. That way, if the worst is to happen and your kitten goes on an unsupervised wander and can’t find its way back, someone will be able to identify him or her. Finally, make sure your cat has the ability to come back into the house when he or she wants. A cat flap is the perfect way to achieve this. When you do let your kitten out, supervise its first few forays into the outside world – this way you can make sure your kitten is safe and is adapting well to all the possibilities of the outdoors. We hope this has helped to answer your questions about when your kitten can go outside. If you have any other questions about kittens, vaccinations, microchips or any other questions about cats then we’d like to help. Submit your question below.